Memphis gun crimes receive more attention than ever from both state and federal law enforcement. If a defendant is charged with a gun crime and a drug crime together, prosecutors have an assortment of different offenses to use against him or her, including the option to charge the gun as a completely separate offense that requires a consecutive jail sentence. 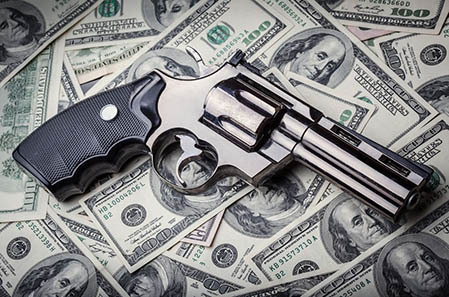 Gun crimes can also be used to enhance other serious crimes to an aggravated version, resulting in increased jail time and fines. In addition, certain individuals like convicted felons are unable to possess a gun regardless of the circumstances. At The Law Office of J. Jeffrey Lee, located in Memphis, I regularly defend defendants charged with gun crimes in state and federal court. I can defend your gun crime whether you are accused of carrying a weapon without a license, possession of a weapon in a public place, unlawful carrying or possession of a weapon, possession of a firearm by a convicted felon, drug-related gun charges, or employing or possessing a firearm during the commission or attempt to commit dangerous felony. There are also many violent crimes that become aggravated due to the possession of a weapon, and they can be found here. The first approach with a gun crime is to determine whether the gun can be suppressed due to a warrantless search, an illegal pat-down, or other unlawful search techniques by law enforcement. If the evidence cannot be suppressed, we still have many tactics for trial, such as to determine whether the contraband meets the legal definition of a firearm / public place / convicted felon, etc., and/or to dispute the position that the weapon was related to the other aspects of the crime. T.C.A 39-17-1307. Unlawful carrying or possession of a weapon. (C) A violation of subdivision (a)(1) is a Class A misdemeanor if the person’s carrying of a handgun occurred at a place open to the public where one (1) or more persons were present. T.C.A 39-17-1324. Offense of possessing a firearm during commission or attempt to commit dangerous felony. (a) It is an offense to possess a firearm with the intent to go armed during the commission of or attempt to commit a dangerous felony. (4) Flight or escape from the attempt to commit a dangerous felony. (c) A person may not be charged with a violation of subsection (a) or (b) if possessing or employing a firearm is an essential element of the underlying dangerous felony as charged. 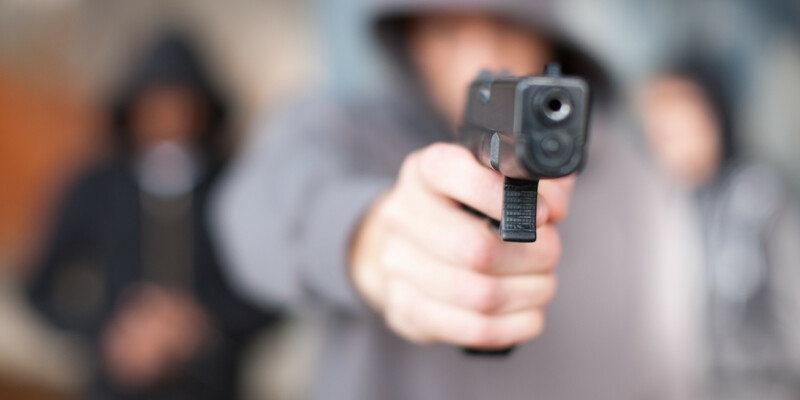 In cases where possession or employing a firearm are elements of the charged offense, the state may elect to prosecute under a lesser offense wherein possession or employing a firearm is not an element of the offense. (d) A violation of subsection (a) or (b) is a specific and separate offense, which shall be pled in a separate count of the indictment or presentment and tried before the same jury and at the same time as the dangerous felony. The jury shall determine the innocence or guilt of the defendant unless the defendant and the state waive the jury. (e) (1) A sentence imposed for a violation of subsection (a) or (b) shall be served consecutive to any other sentence the person is serving at the time of the offense or is sentenced to serve for conviction of the underlying dangerous felony. (2) A person sentenced for a violation of subsection (a) or (b) shall not be eligible for pretrial diversion pursuant to title 40, chapter 15, judicial diversion pursuant to § 40-35-313, probation pursuant to § 40-35-303, community correction pursuant to title 40, chapter 36, participation in a drug court program or any other program whereby the person is permitted supervised or unsupervised release into the community prior to service of the entire mandatory minimum sentence imposed less allowable sentence credits earned and retained as provided in § 40-35-501(j). (f) In a trial for a violation of subdivision (a) or (b), where the state is also seeking to have the person sentenced under subdivision (g)(2) or (h)(2), the trier of fact shall first determine whether the person possessed or employed a firearm. If the trier of fact finds in the affirmative, proof of a qualifying prior felony conviction pursuant to this section shall then be presented to the trier of fact. (g) (1) A violation of subsection (a) is a Class D felony, punishable by a mandatory minimum three-year sentence to the department of correction. (2) A violation of subsection (a) is a Class D felony, punishable by a mandatory minimum five-year sentence to the department of correction, if the defendant, at the time of the offense, had a prior felony conviction. (h) (1) A violation of subsection (b) is a Class C felony, punishable by a mandatory minimum six-year sentence to the department of correction. (2) A violation of subsection (b) is a Class C felony, punishable by a mandatory minimum ten-year sentence to the department of correction, if the defendant, at the time of the offense, had a prior felony conviction. (D) On escape status from any correctional institution when incarcerated for a dangerous felony.